Wear - resistant steel as a special type of steel began about the second half of the 19th century.1883 britons Hadfield (R0. A0. Hadfield) first obtained the patent of high manganese steel, has been 100 years of history, high manganese steel is a kind of high carbon content and manganese content of wear resistant steel, the old steel grade, with a history of more than hundred years thanks to its large impact abrasive wear when used under the condition of strong work hardening ability, with good toughness and plasticity, and easy to grasp the advantages of production technology, therefore, at present it is still Resistant Steel Plate dosage in one of the biggest (especially in the mining and other departments).In recent decades, the development and application of low and medium alloy wear resistant steel development soon, because the steel has good abrasion resistance and toughness, relatively simple production process, the comprehensive economic and reasonable, applicable in many operating conditions, was welcomed by users.In order to meet the needs of the development of mining and transportation machinery and engineering machinery, the high hardness wear-resistant steel plate developed in the 1970s and 1980s has formed a series and standardized internationally.This kind of steel is welded in high strength low alloy steel was developed on the basis of, they generally adopts the direct quenching and tempering after rolling, or controlled rolling and controlled cooling technology for reinforcement, can save energy, and low content of alloying elements, the price is cheap, but high hardness, wear resistance, well performance, because has these advantages make this kind of Abrasion-resistant Steel Plate is very popular with users.Some steel companies in Japan, Britain, the United States and other countries produce such Special Steel Plate. 6. Coal processing industry -- feeding trough, hopper, crusher parts and lining board, coal conveying pipe, elbow, pump body. Dongda Group has succeeded in passing a number of certification systems which are ISO9001, 2008 quality management system certification, CE certification , Alibaba GIS certification, SGS certification (made in China) . With excellent quality and competitive price , Dongda group has to establish long-term, broader economic and trade cooperation and strategic partnership with a number of large state-owned enterprises and customers, and won the unanimous approval of them. 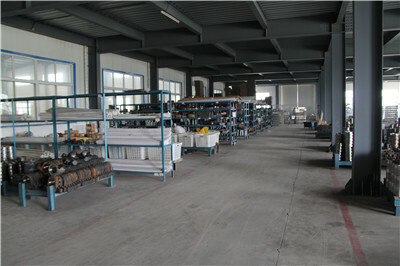 Our factory have 10 series type include more than 40 differently products. 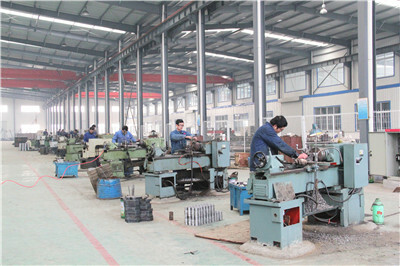 Mainly products: Coal feeder, belt type coal feeder, reciprocating type of coal feeder, mine pneumatic pump, pneumatic diaphragm pump, pneumatic sewage pump, mine dual fluid grouting pump, production rescuer equipment, chemical oxygen self-rescuer, compressed oxygen self-rescuer, oxygen filling pump, positive pressure oxygen self-rescuer, gas detector. 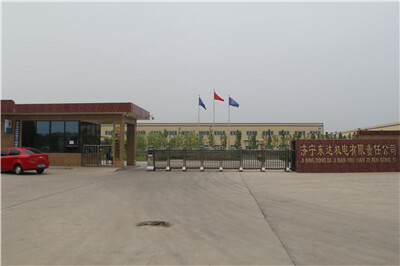 Shandong Dongda Group subordinate enterprises includes Shandong Kuangan electromechanical Co.,Ltd Jining Dongda electromechanical Co.Ltd,Jining Dongda Electric Co., Ltd . Dongda Group is located in the "Hometown of Confucius and Mencius," the Jining City, Shandong Province. With registered capital of RMB 11.18 million and the area of 80,000 square meters, the group owns total assets of RMB 200 million .With strong technical force, adhere to the idea--- science and technology is the first productivity, quality is life, the existing staff more than 500 people. It has developed to a comprehensive company with annual production increased to billions. 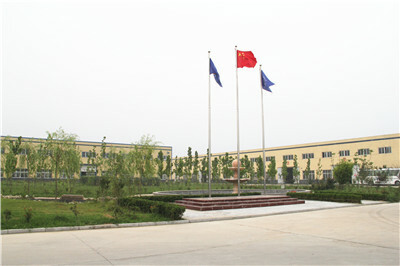 Dongda Group has 10 series, more than 70 products. Including mines lifting equipment, transport equipment, communication signal equipment, personal-protective equipment, ventilation equipment, mining cleaning equipment, supporting equipment, drilling machines and accessories, mining pump, electrical equipment, lighting equipment ,rock drilling equipment and other products. Now ,hundreds kinds of products have been exported to more than 60 Countries and regions. Such as USA, Australia, Russia, Canada, Middle East, Africa etc Dongda Group has succeeded in passing a number of certification systems which are ISO9001, 2008 quality management system certification, CE certification ,Alibaba GIS certification, SGS certification (made in China) . With excellent quality and competitive price , Dongda group is to establish long-term, broader economic and trade cooperation and strategic partnership with a number of large state-owned enterprises and customers, and won the unanimous approval of them. 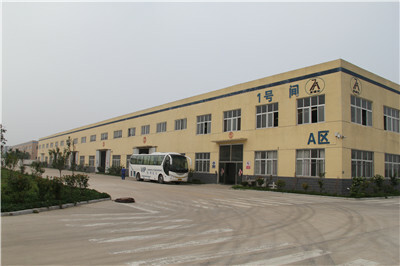 Company Name: Jining Dongda Electromechanical Co.,Ltd.